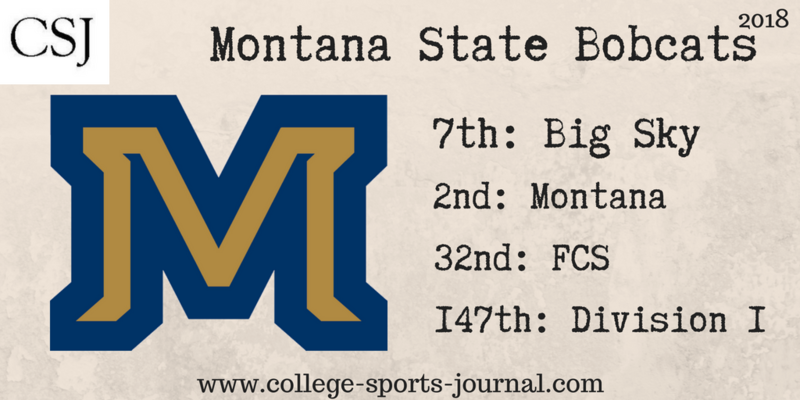 2017 In A Sentence: The Bobcats finished 5-6 overall but three of the losses were by eight points or less and the highlight of the season was again beating rival Montana for a second straight season. Biggest Shoes to Fill: QB Chris Murray will sit out this season due to academics. He had a great season for the Bobcats since starting the last five games of the 2016 season and was named the Big Sky Freshman of the Year. Last year, he threw for 1,597 yards, 15 touchdowns and nine interceptions while leading the team with 1,124 yards rushing and 10 more scores. Key Player: NT Tucker Yates was the cog in the middle of the defense for the Bobcats last year and will look to be a team leader on this side of the ball this fall in his senior season. He tallied 39 tackles with 3.5 of those for a loss last season and was named the team’s co-defensive player of the year in 2017. Fearless Prediction:The talent level is there for the Bobcats to return to the top half of the Big Sky standings but must find a new quarterback. This team will also need to overcome two Missouri Valley powers to start the season (South Dakota State & Western Illinois), but does have a favorable BSC slate with several projected lower half teams on the schedule. It is not out of the question for MSU to finish in the top 4-5 spots in the league if all comes together.